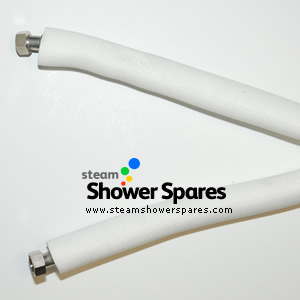 Insulated steam hose. This part connects between the steam generator (steam out) and the steam pod. Fitted with Threaded 15mm nuts, this hose is covered in an insulating coating.